Forging. 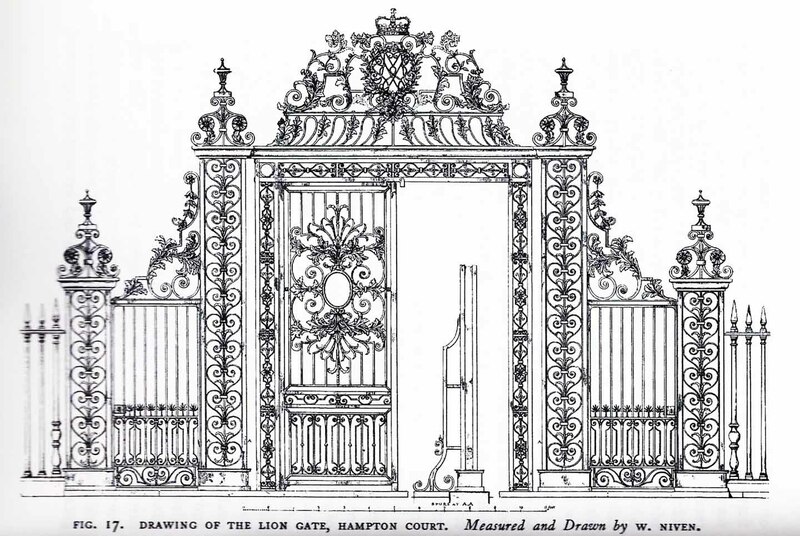 | Restoration of 'Tijou' Gates at Petworth House. Tooling test piece for ‘Boarder rosettes’, still needs refinement but good for a prototype. We need 16No. assemblies. 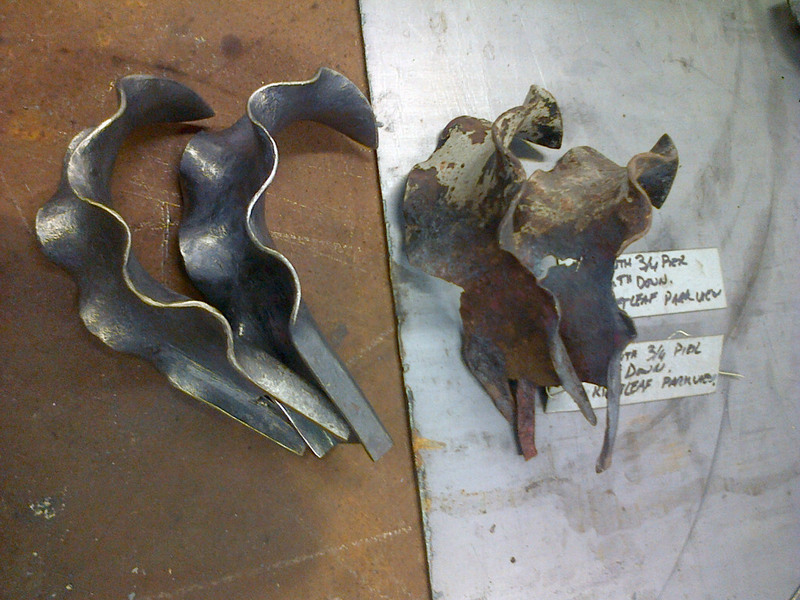 At last we can start thinking about making new components to replace missing Ironwork and repairing damaged originals. This is what we do well… its not that we don’t clean, fix and paint well…. 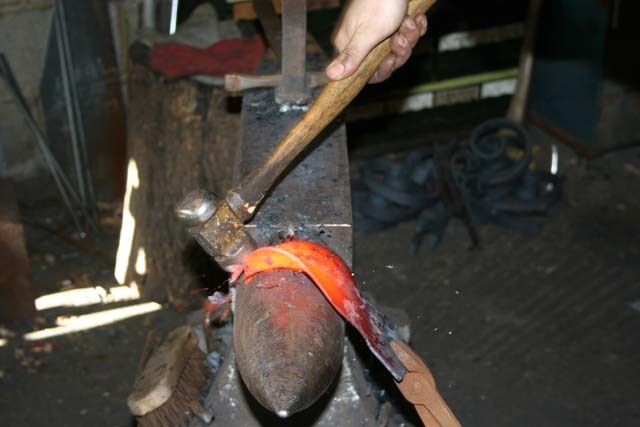 but making stuff is what we love doing and why we work as Blacksmiths. The developments of some of the components have to be done early. 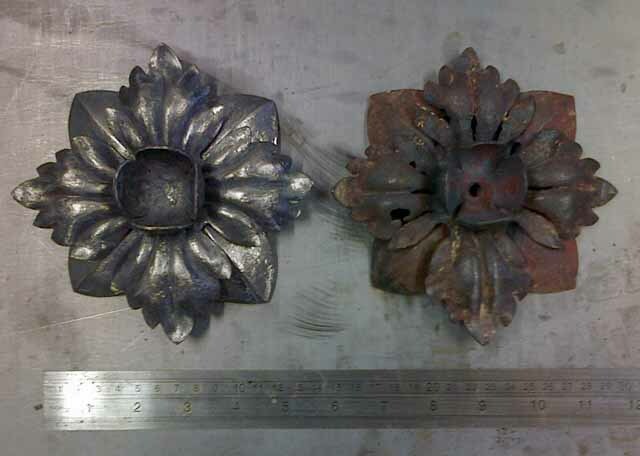 Tooling for large numbers of leaves and rosettes have to be considered now, well before the material on order arrives. The tooling and development has to be right, it is important that not one new component (or repair component) is wasted due to a tooling mishap or oversight. Tooling test prototypes for Acanthus type Drop leaves, we need to make 64 of them! The middle one is an ‘average’ original. Most important of all, forging processes have to be as economical as we can make them; we can’t afford to ‘burn’ the profits. The tooling is tested and developed using Mild Steel blanks. Mild Steel tends to be tougher to work than Wrought Iron or Pure Iron, so its a good test for set tooling and procedure. Detail can only get better and the tools will last longer. This not a conscious moral decision, rather a financial one; Pure Iron (for standalone reproductions) is roughly at x 4 the price of Mild Steel and Charcoal Wrought Iron( for repairs) x 50 that of Mild Steel, a Blacksmith has to be very careful! 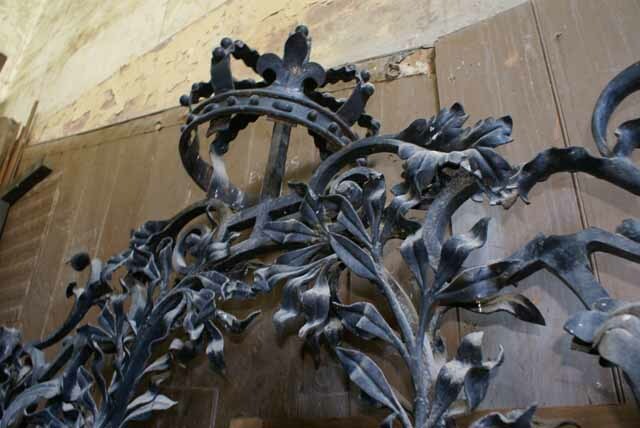 We’re using 3mm thick material (just under 1/8″) for 90% of the Acanthus work on the ‘Tijou’ gates. I’m getting bored of being asked “Why are you using such thick material to replace the leaves, surely you can use something thinner and cheaper?”…. my reply is “I’m using 1/8″ because that’s what the leaves were originally made from!” We have a ‘like for like’ replacement policy as all Conservation Blacksmith should. Pier prototype Water leaves in Mild Steel, there are 72No. to make. These are developed from a 270 x 80mm pattern 3mm thick. Originals on right. A lot on Victorian Acanthus leaves are made from 2.75 to 3mm (7/64″ to 1/8″) and it is wrong to skimp on material, no matter the original sections, now that is a moral decision. 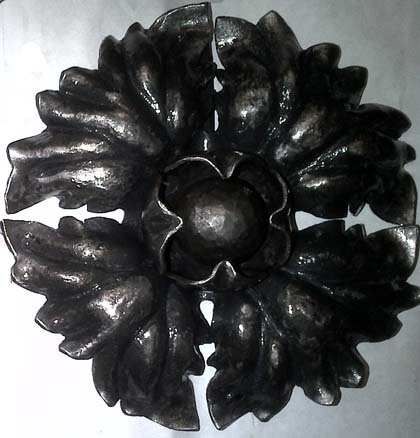 Working thick material is not a problem for a skilled Blacksmith, Acanthus and water leaves are not particularly difficult to make. But you do need workshop commitment and be prepared to work intuitively. A few specialist tools have to be developed, but that’s about it. Your first leaf or process will be difficult, but subsequent operations will get easier, until it is routine. ‘Practice makes perfect!’ had to be written for a Blacksmith. 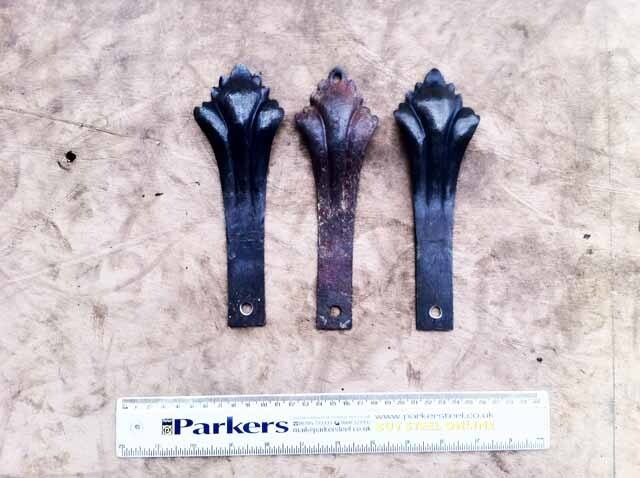 This entry was posted in Making components and tagged Acanthus, Blacksmith, Petworth, Pure Iron, Victorian, Wrought Iron. Bookmark the permalink.